NDAs and client confidentiality prevent me from publishing the work I’ve completed for my clients, but you can see who my clients are, view their testimonials and read my case studies here. If you would like to view my portfolio of client work, email me and I will send you a link to my Dropbox. If you’re interested in learning more about thought leadership, you can read my published white papers and articles here. These articles provide brief biographies of some key Western philosophers and a summary of their work. They’re published on LinkedIn under the hashtag #PhilosophyFridays where they’ve gained a large (and unexpected) following. You can follow me/connect with me on LinkedIn if you’d like to read more of my posts and articles. As the IFP marketing expert, I contribute regular blogs and articles about thought leadership to the highly regarded Insights for Professionals, which has a readership of over 3.5 million business professionals. I’m very proud to feature in John Espirian’s list of recommended copywriters. John is an influential, industry leading, technical writer with a huge following on LinkedIn. It’s a real honour to be included in his list of go-to copywriters. 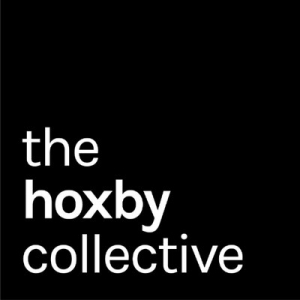 The Hoxby Collective is an ‘award winning workforce of more than 450 exceptionally talented people‘ and I’m delighted to be considered one of them. I am a member of the core team at the Hoxby Design Studio, and write long-form copy for the Collective. You can find out more about the Hoxby ethos by watching this video. Creme-de-la-Creme is a selective community of international freelancers, and I’m proud that the quality of my portfolio meets the exacting standards required to write for them. The story that inspired my personal blog, Jelly Nightmares, has been featured in the national and international press- including Chat Magazine, The Daily Mail, The Mirror, The New York Times, i-news.co.uk and The Sun. You can read the articles in full by visiting my blog.